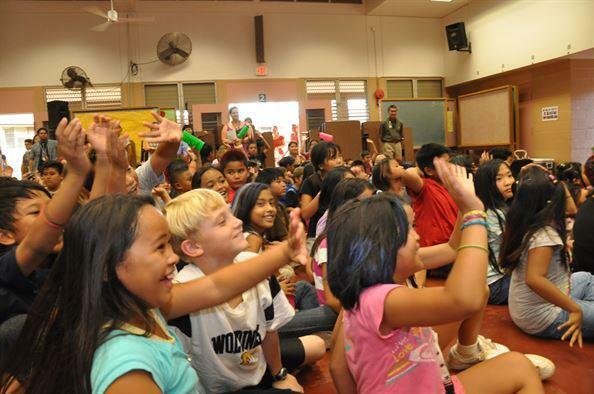 Students of Kaleipuu Elementary in Waipahu welcome the U.S. Air Force Band of the Pacific. Jonathan Okamura is a Professor of Ethnic Studies at UH Manoa. His current research on “Unequal Opportunity: Ethnic Inequality in Public Education in Hawaii” was published recently by the Hawaii State Teachers’ Association. UH Manoa Professor Jon Okamura describes ethnic inequality as it plays out in Hawaii. Professor Jon Okamura descries how ethnic inequality is entrenched in Hawaii and its connection to declining enrollment at UH Manoa. He outline possible remedies. Jonathan Okamura is a Professor of Ethnic Studies at UH Mānoa. 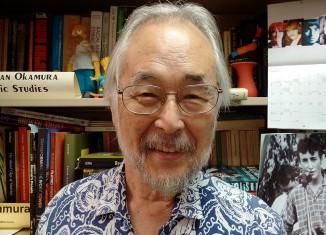 He has studied ethnicity and education in Hawai‘i since the 1980’s. His book, Ethnic Inequality in Hawai‘i published in 2008, dealt with representation, mobility, and other issues. His current research updates this statewide view on education and ethnicity to the present, and was published as a monograph recently by the Hawai‘i State Teachers’ Association under the title, Unequal Opportunity: Ethnic Inequality in Public Education in Hawai‘i. Okamura: In Hawai‘i there is this belief that we get along, people from different ethnic groups. There’s a great deal of tolerance and harmony in our relations with one and other and I think this has served as a way of obscuring the problem of ethnic inequality. We seem to have this tolerance for inequality here. We don’t see it as a major problem that we need to address. Okamura: In general what I’m saying is people in Hawai‘i attribute much greater significance to ethnicity, they view the different groups here as ethnic groups not racial groups, they view the differenches among ourselves as cultural differences not phenotypical racial differences. Ethnicity is the organizing principal dominant principal of social relations in Hawai‘i. Okamura: Ethnicity works in a way that benefits the dominant groups, Japanese Americans, Chinese Americans whites, because they are in positions of power. They make these kinds of decisions regarding, for example the disposition of public resources. When they make these decisions, I don’t believe they do it intentionally to discriminate against minority groups. When Linda Lingle made that decision to close the public schools, I don’t think she did it intentionally to disadvantage the 70% of the public school enrollment who come from minority groups, or when the Board of Regents raises tuition, but the consequences of those kinds of actions result in disadvantage, exclusion, unequal opportunity, access to higher education. Okamura says 70% of public schools students are minorities as he defines them, 22% of students are Native Hawaiian, and 26% are Filipino. In contrast, at UH Manoa Hawaiians represent 14% of undergrads, and Filipinos 11%. Okamura says the drop off at the University level is due to continually rising tuition, which the UH sought to address by not raising tuition this semester--for the first time in seventeen years. Okamura says while UH Regents tout the tuition as "affordable,' he says they need to acquaint themselves with a larger number for whom higher education remains unaffordable. Ultimately how does this play out for the society as a whole? Okamura: It results in the ethnic inequality we have in Hawai‘i as a whole. We live in a highly unequal society. In which certain groups like Japanese Americans, Chinese Americans, haoles, have much higher socioeconomic status than minority groups such as Filipinos, Hawaiians, Samoans, other Pacific Islanders, Latinos, African Americans, etc. And ethnicity I would argue is responsible for this inequality that we experience in Hawai‘i, which has become more entrenched from the 70’s on because of our overdependence on tourism. Okamura says Hawai‘i needs a more stable and growth friendly tax base than tourism is able to provide. He says individual achievement is possible in Hawaii, but he does not see the kind of widespread occupational and income mobility that would characterize equal opportunity. Okamura claims difference in terms of ethnicity "strongly influences" your access to economic opportunity, higher education, income and occupational status, wealth, home ownership. How do you see a change in that? Okamura: Public education should be the basis for that. After the War (WWII), Japanese, Chinese and Koreans, groups that started on the plantations, were able to advance themselves using public education, entering the middle class by the 1960’s. They started to separate themselves from the other non-haole groups like Filipinos and Hawaiians, whom they had worked with in the labor movement. Okamura: I don’t think our policy makers, our government officials necessarily intend to discriminate, to exclude minority groups from equal access to public education, particularly at the University, but decisions they make result in these negative consequences, beginning with public education. Hawai‘i, the only state with one state-wide school district, should assure benefits are shared equally across the board, especially with the “weighted student formula” approach. Okamura: The issue is, what they have is equal access to underfunding. I think if legislators though creatively about additional sources of income for public education, this might be a way. I would suggest taxing absentee homeowners. Many of them do not live in Hawai‘i, they do not vote in Hawai‘i, there’s not going to be a backlash from them if the legislature passes a bill. And they probably have the financial means to afford a higher property tax. Alternative funding for education would be a means for progress here? During the 2017 legislative session, six thousand teachers and supporters rallied at the state capitol in support of increased funding for education. After studying alternatives, such as a lottery, the Hawai‘i State Teachers’ Association has proposed a tax on investment properties.